Bus transfer from Pristina to Peja (approximately 1.5 hours) to check in to Hotel Dukagjini. This is mostly a free day, though city tours can be arranged in either Pristina or Peja as requested in advance for an additional fee. 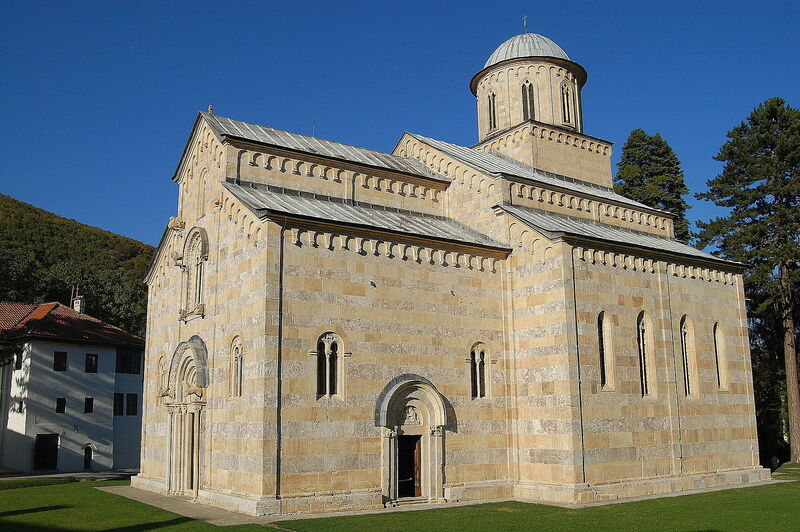 After breakfast, a minibus will drive you to the 14th century Decan Monastery, which is a UNESCO World Heritage site and a beautiful example of Serbian Orthodox architecture and iconography. 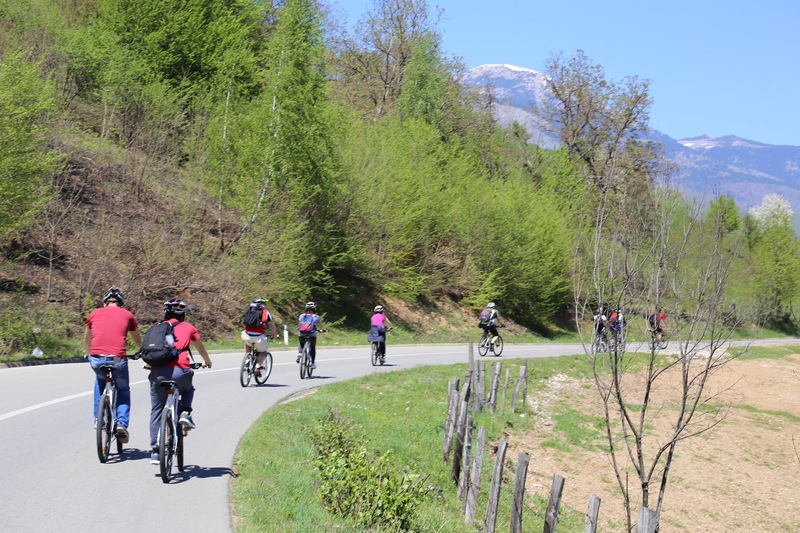 After touring the monastery, a 45 km biking trip will continue your introduction to Kosovo’s local culture. First, we will stop in Drenoc, a village of traditional 18th century stone houses known as kullas, where a local family will host us for lunch. 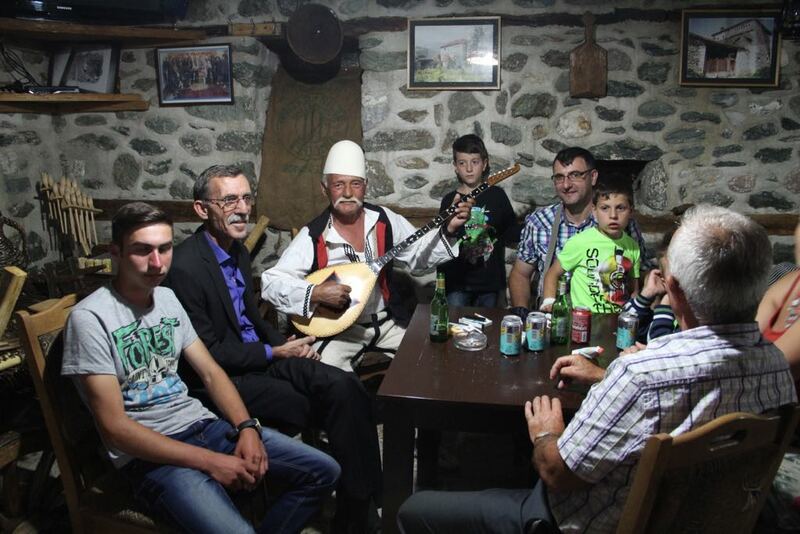 First, you will take part in preparing flija, a traditional Albanian mountain speciality made over an outdoor fire. 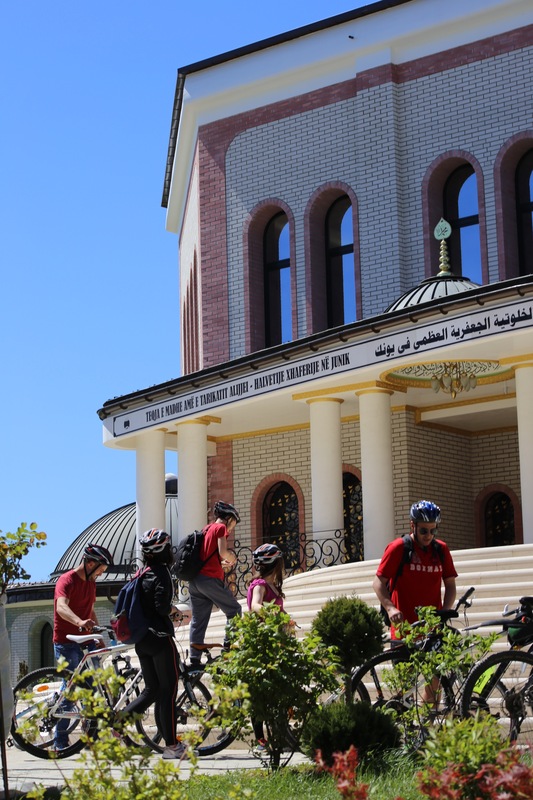 Back on the bikes, we will make our next stop just before entering the historic village of Junik, where we will visit Kosovo’s largest Sufi tekke (place of worship) to learn about this fascinating Islamic sect and its history in the region. Our final stop of the day will be a difficult but important visit to the Meja War Memorial, which honors the over 300 people who were killed here during one of the deadliest massacres of the 1999 war. 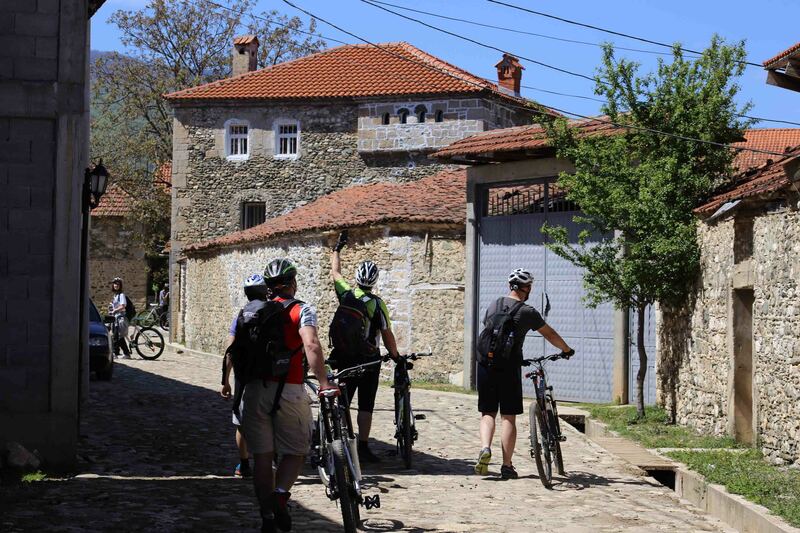 Following our visit, we will bike the final 6 km into the historical center of the city of Gjakova. 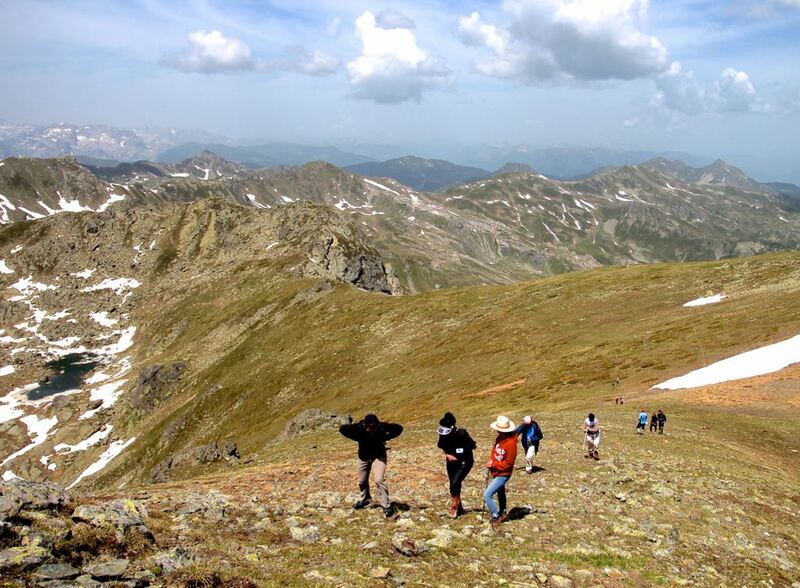 This hiking day is dedicated to Kosovo’s highest peak, Gjeravica (2656 m). 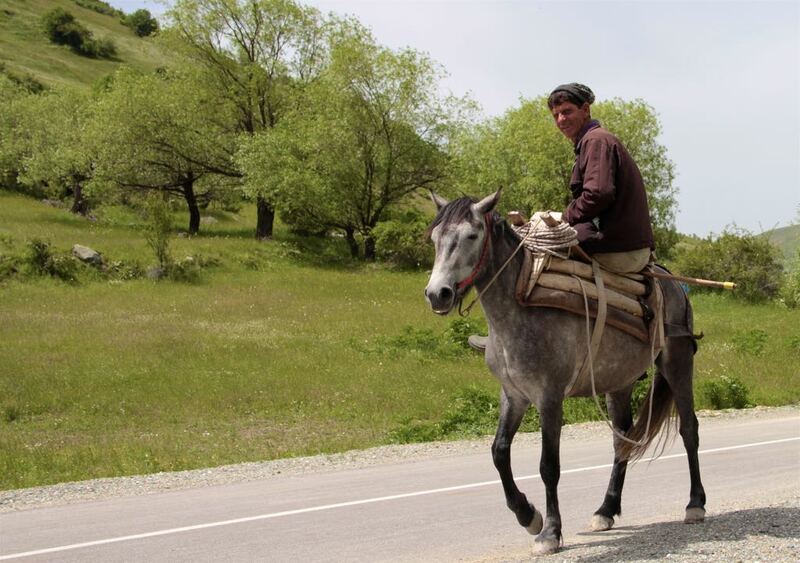 After an early breakfast, we will begin our 2 hour drive in 4×4 vehicles to Ereniku Valley. From there, we will begin our hike to the summit (approx.4 hours to the peak). 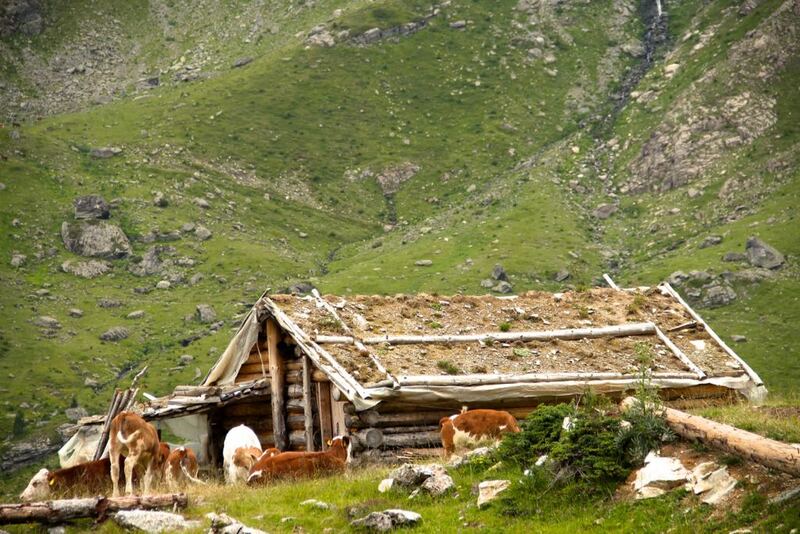 Along the way, we will enjoy magnificent views of the quiet mountainous region and pass two glacial lakes. Backpacking Meal will be offered while resting at the lake. 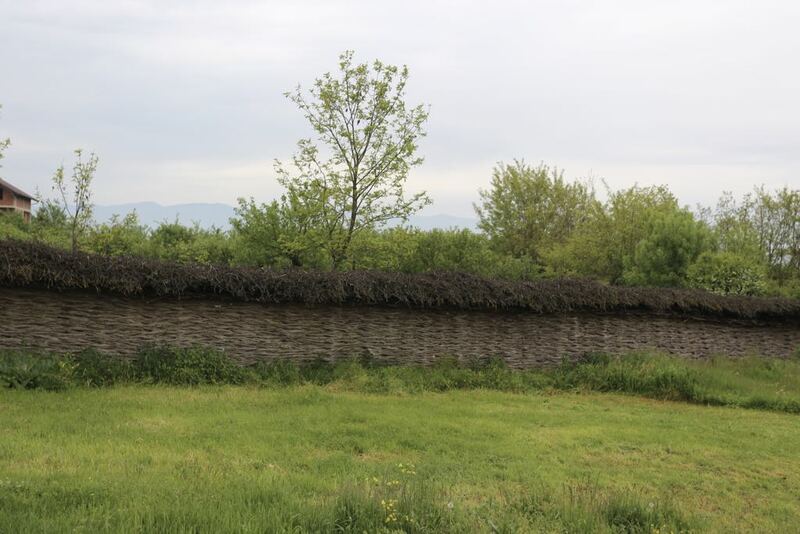 In the evening, we will return to the 4×4 vehicles and head back to Gjakova. After breakfast, we will take a walking tour of Gjakova’s major sights — including the 16th century bazaar, which was completely rebuilt following its destruction in the late 1990s and showcases some of Kosovo’s finest local handicrafts. 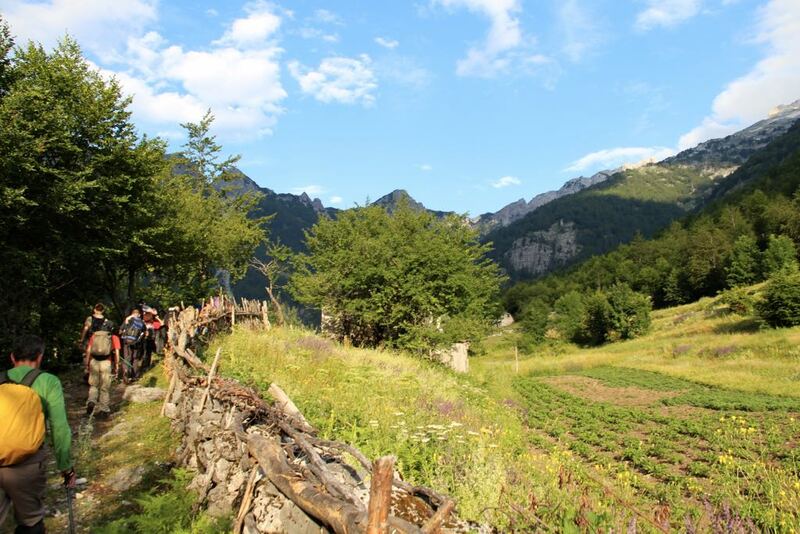 Following the tour, we will make the one hour drive over the Albanian border to the small town of Bajram Curri, which was one of the most remote places in Europe for much of the 20th century. 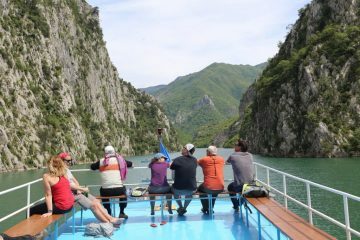 We will have lunch in one of the town’s traditional restaurants before continuing our journey with a 25 km bike ride into the heart of Albania’s wild Accursed Mountains to the breathtaking Valbona Valley. Here, we will stay in a local mountain resort, where we will also share a dinner prepared from the best of the mountains’ bounty that day. 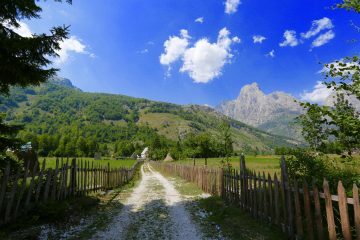 This moderate route is one of the most beautiful in the Albanian Alps. . The 3.5 km approach to the trailhead follows a rocky river bed before ascending at the small village of Rragam. The rest of the 5 km of forested path passes quiet streams with drinkable water and the occasional opening rewards you with some dramatic panoramas of the area. The hike takes approximately 8 hours with an altitude gain of 1400 m. We will be greeted in Theth with a traditional meal and rest at a mountain lodge. After breakfast, we will make the one hour drive to Komani Lake to meet the ferry. 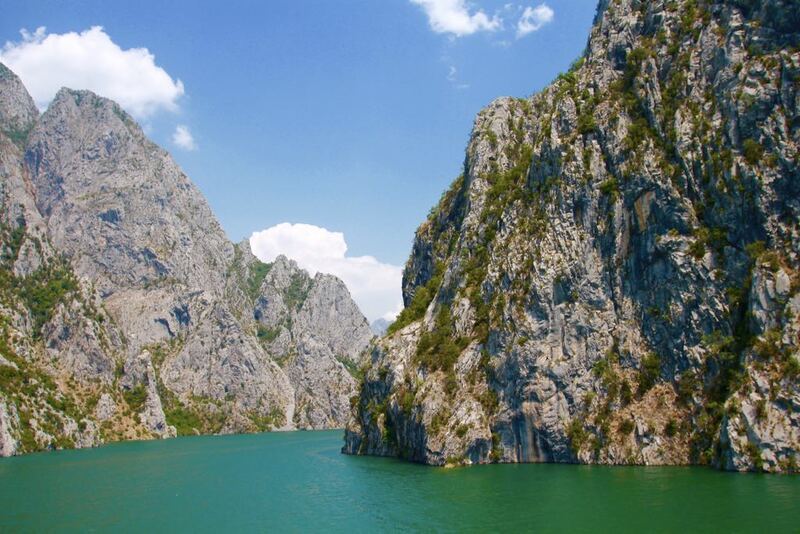 The two-hour ride (one way) across the picturesque lake has been called “one of the world’s great boat trips” (Bradt Guide), and will include breathtaking views of the steep cliffs and a packed lunch. In the afternoon, we will drive back to Gjakova (approx. 2 hours). 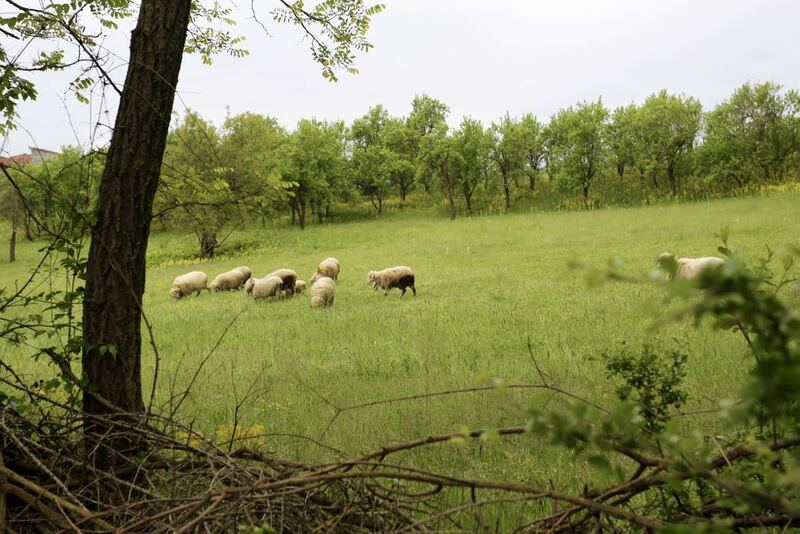 After breakfast, you will be transferred by minibus to Kosovo’s wine region of Rahovec for some wine tasting and to learn about the area’s old wine communities. 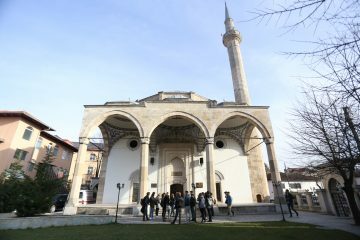 In the afternoon, we will head to Prizren, often referred to as the cultural capital of Kosovo which boasts a unique mix of Medieval, Ottoman, and Neoclassical architecture. We will walk through the main square, Shadërvan, where we will visit a few of the neighboring mosques (Sinan Pasha Mosque, Bajrakli Mosque) and churches (Saint George Church, Saint Saviour Church), as well as the Castle, that share the the city’s skyline. 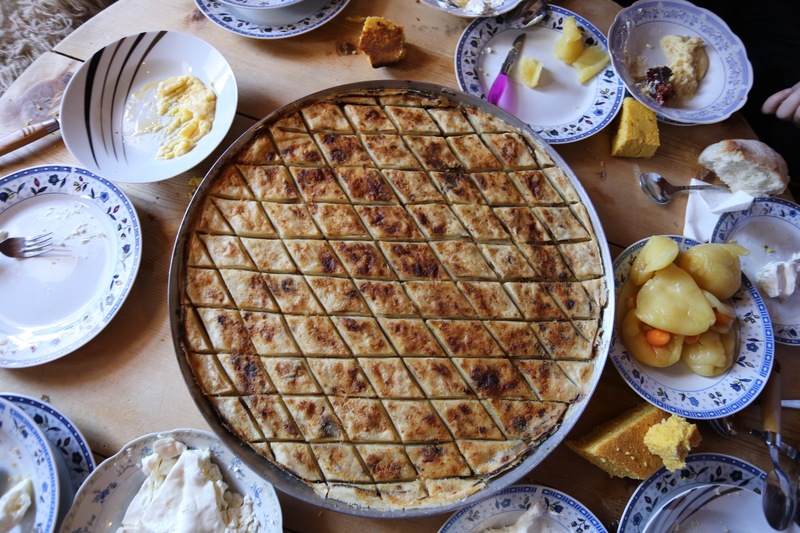 We will cap off our day experiencing Kosovo’s famed cafe culture and Prizren’s famed baklava. All you need is a bicycle, nature and a good company. Thank you Catun for this opportunity, to be part of this amazing tour!